Danville’s tax levy rate would remain unchanged next year under a proposal unveiled last night (Tuesday, February 5, 2019) by Mayor Rickey Williams Jr. The mayor says his proposed new budget includes funds for separate police and fire chiefs, instead of having a Public Safety Director…. The budget proposal also includes funds to hire three new police officers…. The city would have a new $50 Business License Fee under the new proposal. There would also be a 2-percent increase in the Hotel-Motel Tax in Danville and a $100 per machine fee for video gaming. The Mayor is also proposing eliminating some positions including an Associate Corporation Council (at a savings of $75,000) and Community Development Planner (which would save $55,000). 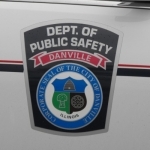 There would also be a $10,000 reduction in funding from the City to Downtown Danville, Inc., and a $20,000 reduction in funding for Vermilion Advantage. Council members will spend the next few weeks reviewing and adjusting the numbers before giving the budget and tax levy their approval.